Help Greenpeace protect the earth, collect the dumped nuclear waste from the bed of the sea. Grab the toxic waste, and pearls, but avoid the underwater canyon walls. Conserve your energy. Reach LaHague with a sumbersible, take water probe and get back to Rainbow Warrior collecting all the points you can. Watch out for the rocks! If you want to play La Hague GreenPeace games online you have come to the right place! GamesLoon adds new La Hague GreenPeace games every week. This is your game portal where you can find the biggest collection of free La Hague GreenPeace games online. 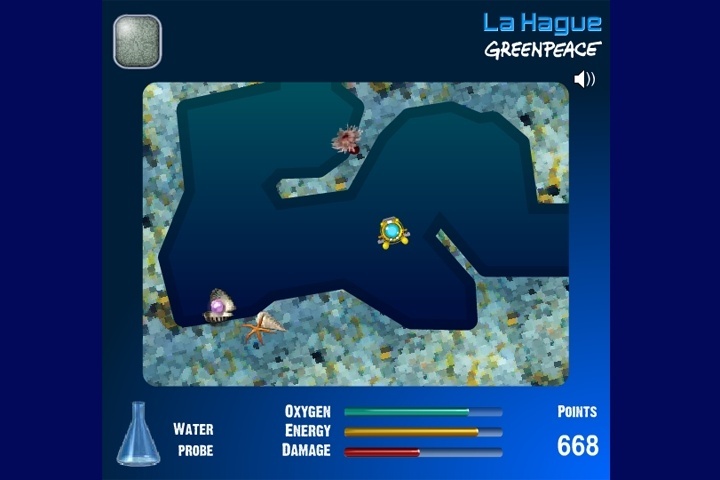 Do not forget to rate our La Hague GreenPeace free online games while playing!